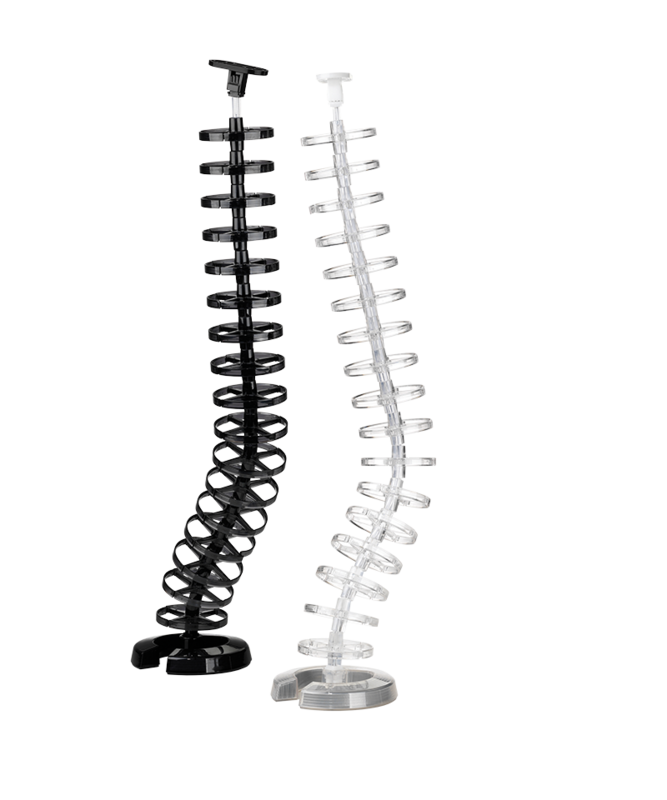 Slinky is a high-capacity cable management system of plastic vertebrae built around a flexible spine. Each vertebra has four separate compartments enabling power, data and voice cables to be separated. 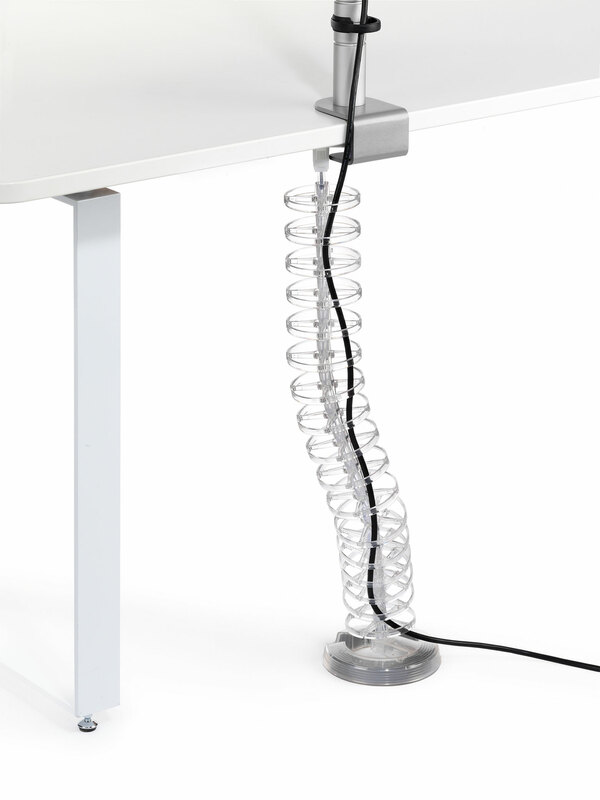 Slinky can easily be attached to the underside of the desk with a cast iron base anchoring it securely to the floor. As a cable tidy solution, Slinky is available in various lengths and is easy to remove when reconfiguring areas. Even in today’s wirelessly networked office, desk cable management is essential as a number of cables are often required to deliver power and data to the workstation. Unsecured cables consume space and can represent a serious health and safety risk.Organising the cables in this effective manner helps to create a clean workstation for improved office ergonomics.